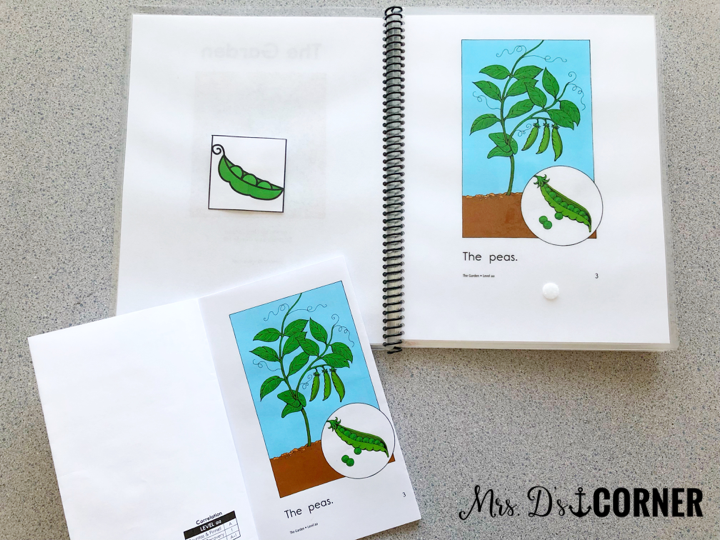 Planning for guided reading groups in a self contained classroom can be very overwhelming, especially if you have multiple levels of reading groups. It’s overwhelming, but it is NOT impossible. If you haven’t read Part 1 of this blog post series, you’ll definitely want to start there. 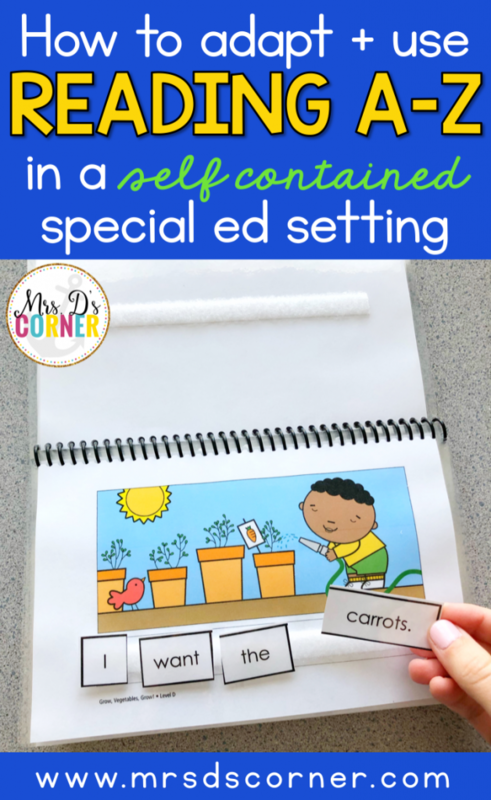 You can read Guided Reading Lessons + Rotation in Self Contained SPED – Part 1 here. That blog post will give you a very in-depth explanation of how I run Guided Reading in a self-contained classroom. If you’d like to watch the video version of all the ins and outs of how I plan for Guided Reading, you can join the VIP Facebook Group and watch the replay here. So at this point in lesson planning for your Guided Reading block, you’ve already chosen your books from Reading A-Z. But let me give a rundown once more of where to find Reading A-Z and all of that jazz. Disclaimer: RAZ is a paid subscription. It is $109.95 per school year (you can use my referral code for $5 by clicking here), per class of 36 students, BUT ask your school if they have a subscription before you buy it for yourself. Also, don’t forget about Donor’s Choose, Pledgecents, GoFundMe, and ask your school’s PTO and parents for donations to help you purchase it. 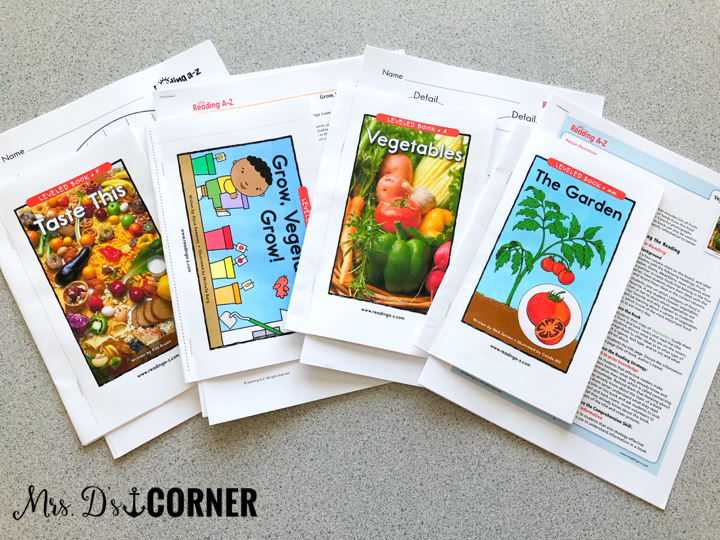 Use the resources available to you to get this curriculum for your kids. I have always purchased it myself because it’s THAT big of a deal to me, and that much of a teacher life saver and human-sanity saver. *I am not affiliated with or receiving compensation from Reading A-Z formentioning them. 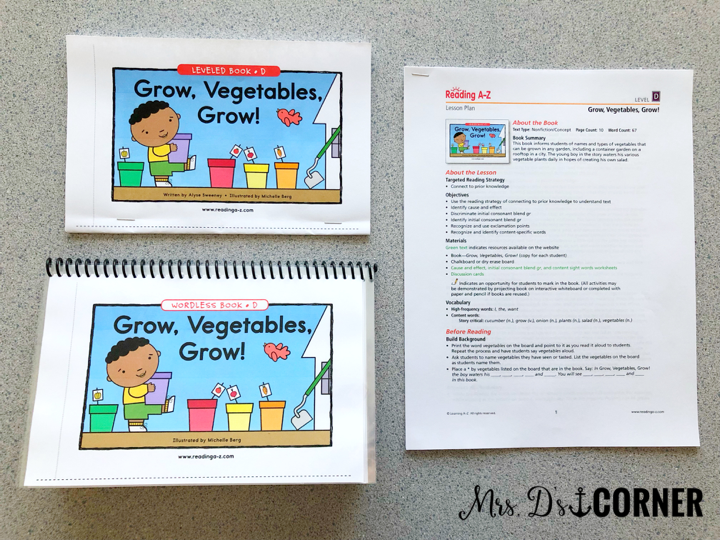 I truly love their Guided Reading curriculum (it’s saved my teacher life and sanity) and I have paid for it with my own personal money to use in my classrooms. 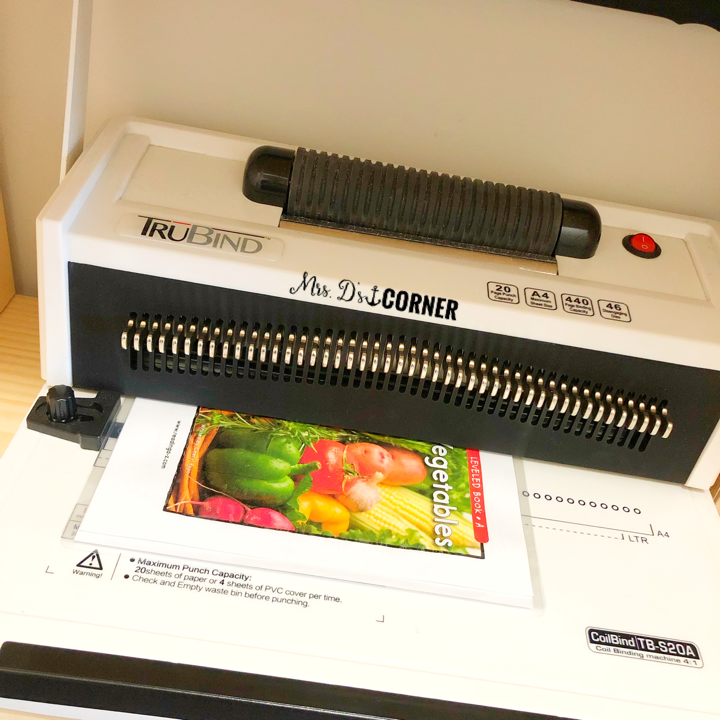 How do you choose what books to laminate and adapt? If it’s a book or topic that I know I will be reteaching every year (like Spring and gardening), then I’ll adapt it. Especially for my lower GR levels. Most of my higher level students don’t need their materials adapted. Occasionally, though, I will adapt a wordless book, which I’ll show you. Do I adapt and laminate all of the books? Heck to the no. Ain’t nobody got time for that. So I pick and choose. Okay, okay. So HOW do you adapt the Reading A-Z books? YAY! 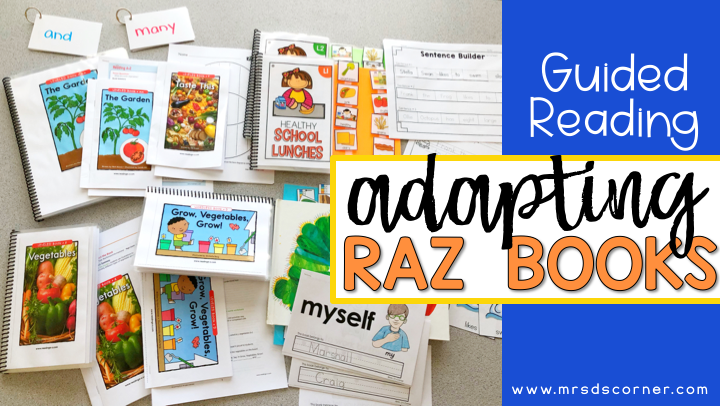 We’re finally here and I’m so excited to share my tips and tricks with you about adapting RAZ books. If you want the super quick version (with a video), you’ll appreciate this blog post. Cut the pages in half, then use a binding machine to create the spine. 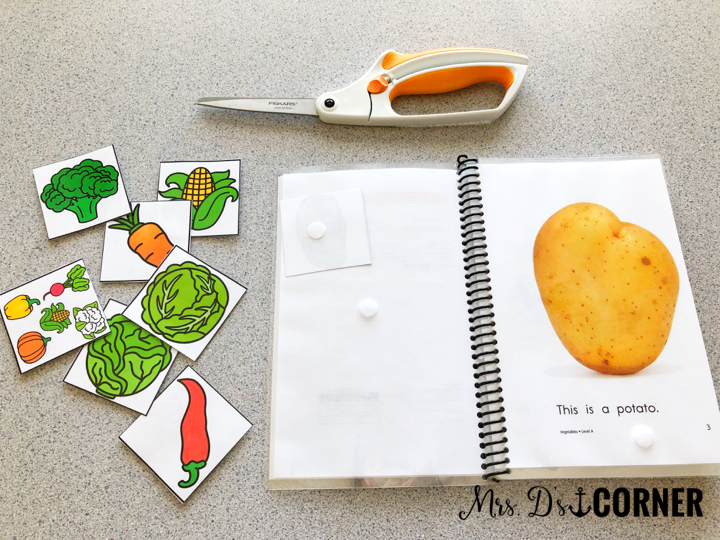 To make the story interactive for my students, I image search for pictures of each image within the story, or you can use clip art (or BoardMaker images or whatever images your students are using on their AAC devices). I copy/paste the image into a blank Microsoft PowerPoint slide (Google Slides works too!) and resize. Typically, I will create boxes and place the images inside of the boxes… so all of the images are the same size when cut out. 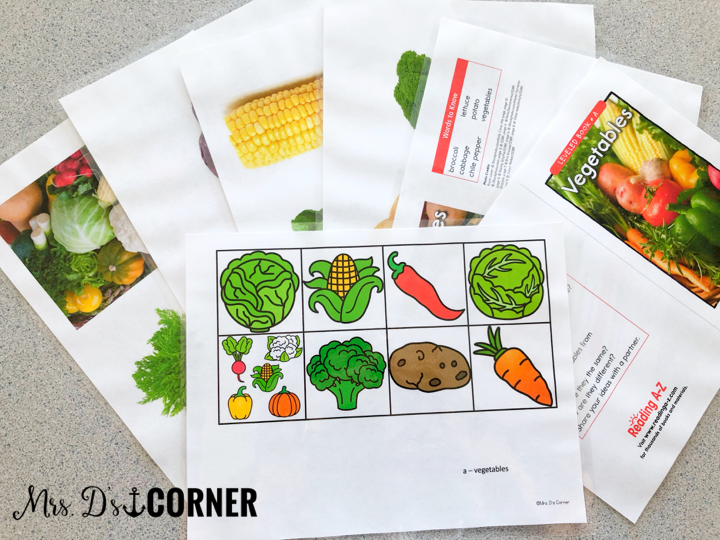 Print, laminate, and add hook/loop to make the story interactive. This works great for your nonverbal students to demonstrate comprehension of the story. You can also make word boxes and have them match the image and the word to the page (to increase difficulty). INSIDER TIP • If the single sided book pages are too small in size, you can print the projectable pages (they’re full size!) and make the movable pieces the same as you would with the smaller book. You can use the wordless books and adapt those for all of your students. Using Microsoft Word (or Google’s version), type out each sentence from the story or create your own sentences. You can also have students write the story and then laminate their sentences to add to the book. 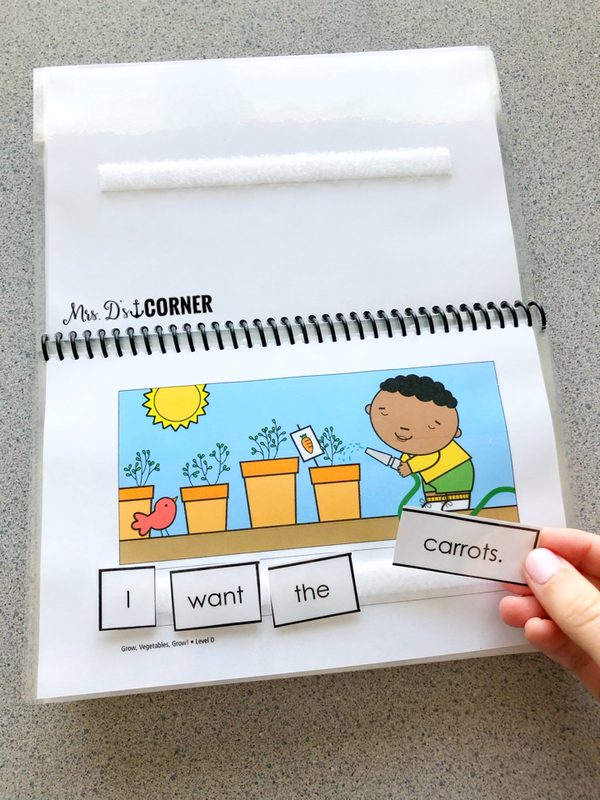 For the story in the picture, I used the Guided Reading lesson plan’s recommended sight words – I, the, want – to create sentences for the story. Print, laminate, and cut out each word separately, then added hook/loop for students to then “write” their own story. getting kids to write their own stories. reading sight words and creating sentences. 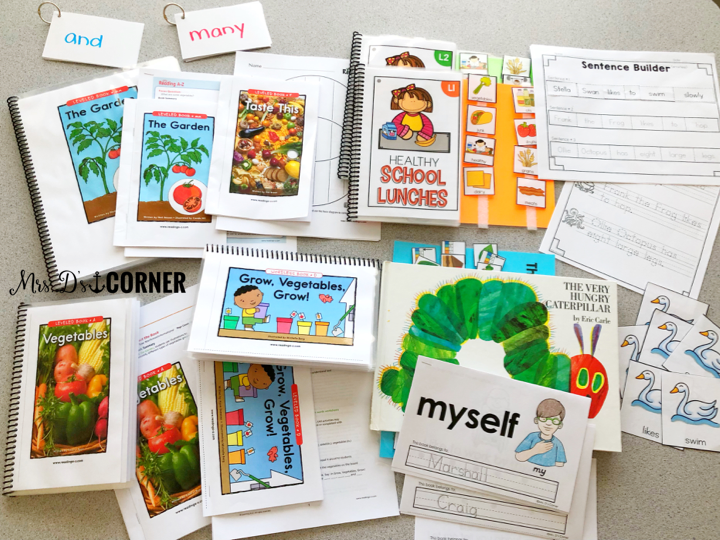 creating student written books for your classroom library. What supplies do I need to be able to adapt books like this? How long does it take you to prep all of this? During one planning period, I will get everything printed. That is, all of the RAZ books and materials, plus all of the supplemental materials we talked about in Part 1. 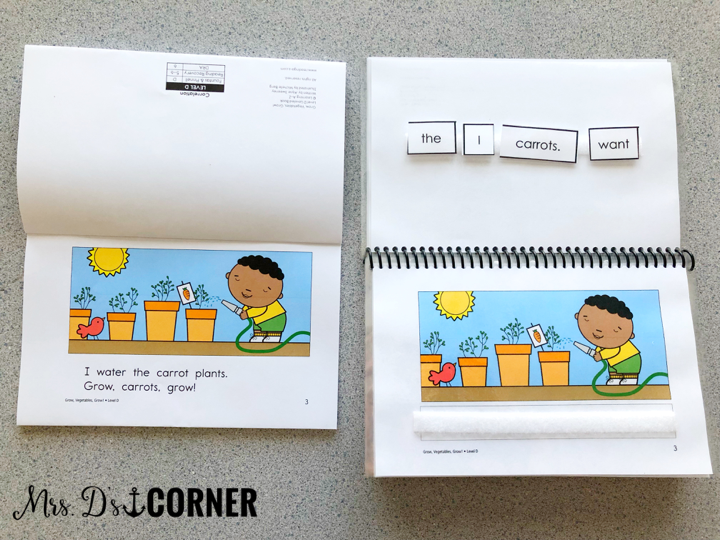 And that’s how I adapted Reading A-Z books and materials to better fit my classroom, and be resources I can reuse each year and not print to throw away or send home (to be thrown away). This is fabulous! Do you use a template for the text that you type out? What is the font/size?